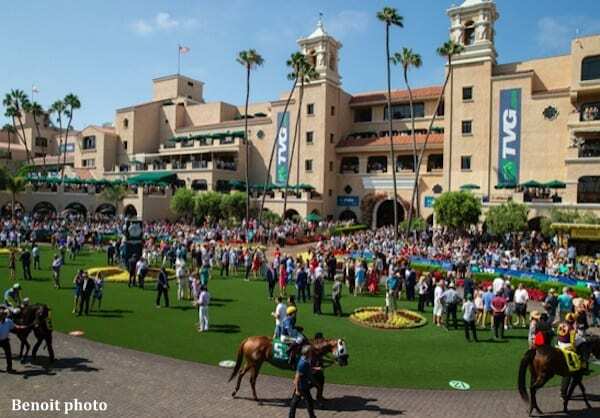 The seal will be broken on the fifth edition of fall racing at Del Mar come Friday afternoon. It is another chapter in a saga centered on the Southern California thoroughbred industry's resolve to carry on after the demise of Hollywood Park through new days at a favored venue for horsemen and fans alike. “What we have done in the past with this fall meet has set the bar high,” racing secretary David Jerkens said. “We're coming off a strong summer meet and hopefully that momentum will carry over. We'll take it day to day and put out the best cards we can day by day and I think we'll finish strong with the turf stakes at the end of the meeting. The first three fall sessions here were either 15 (twice) or 20 racing days in length. The 2017 event, 16 days in duration, was unique in that the opening weekend included Del Mar's first hosting of the Breeders' Cup World Championships (it'll be back in 2021) and the track's own complement of stakes races had to be sandwiched in from weeks 2-4. This entry was posted in The Biz and tagged california horse racing, david jerkens, Del Mar, Horse Racing, Paulick Report, thoroughbred by Del Mar Thoroughbred Club. Bookmark the permalink.